The Camp Fire, which is currently burning in Northern California, has become the deadliest wildfire in state history with a death toll of 42 as of this morning. 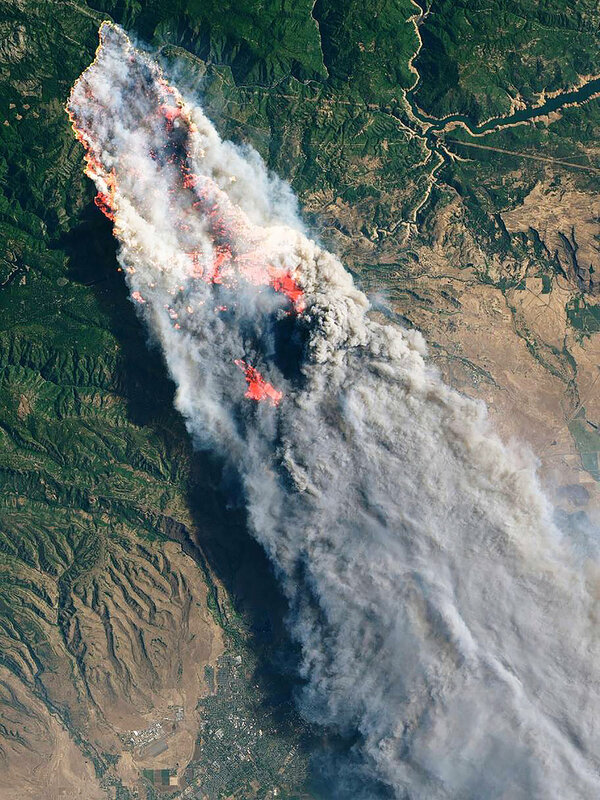 The blaze has scorched more than 117,000 acres (47,000 hectares), destroyed more than 7,000 structures and forced 52,000 people to evacuate their homes. The fire is roughly 30 percent contained at the moment. 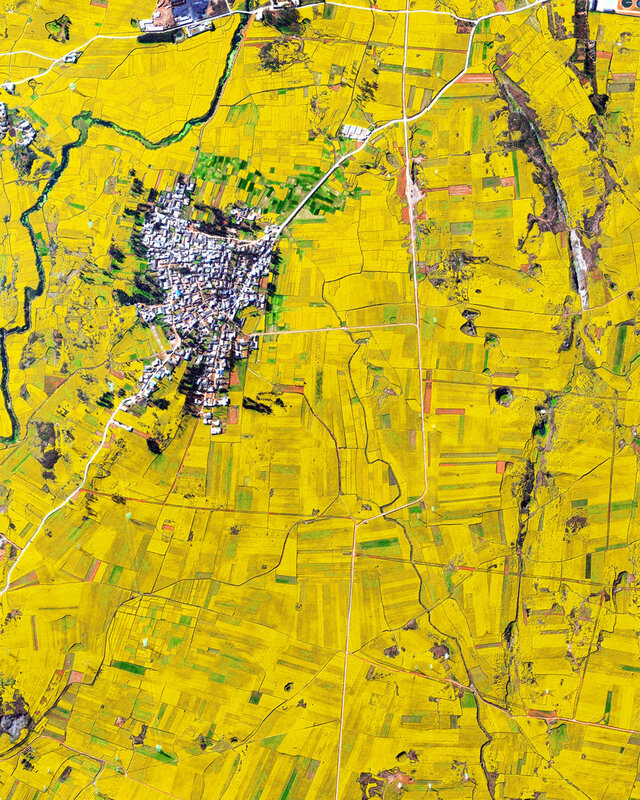 Canola flower fields cover the mountainous landscape of Luoping County, China. The crop is grown for the production of oil, which is extracted by slightly heating and then crushing the flower seeds. Canola oil is primarily used as a source of biodiesel and is also a key ingredient in many foods. The Mill Creek Wastewater Treatment Plant is the largest plant in the Metropolitan Sewer District of Greater Cincinnati, Ohio, treating roughly 100 million gallons (378 million liters) of wastewater a day. The sewer district’s service area encompasses more than 290 square miles (751 sq. km) and serves a population of more than 850,000. 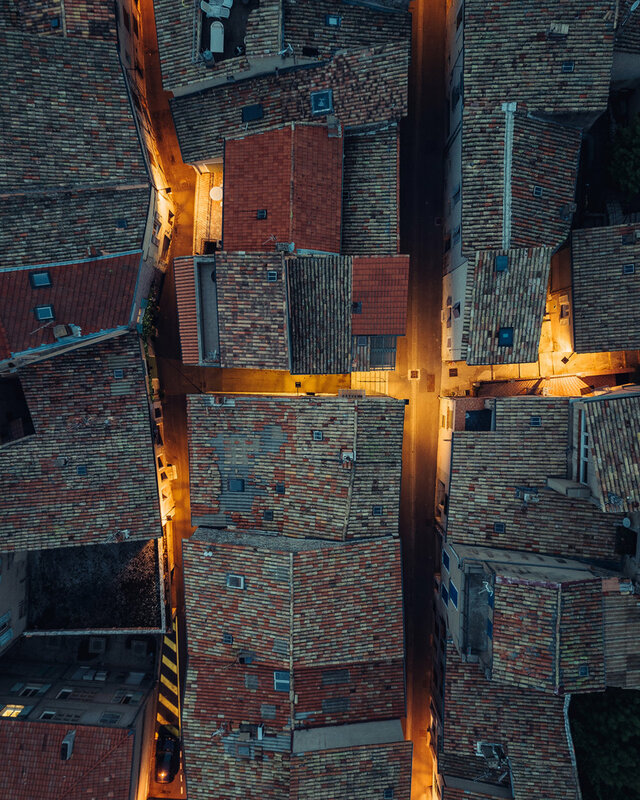 Check out this amazing view above rooftops in Sisteron, a commune in the Provence-Alpes-Côte d'Azur region of southeastern France. This small community has been inhabited for more than 4,000 years and currently has roughly 7,300 residents. Apart from its beautiful countryside, tourist attractions in Sisteron include its citadel, the 12th century former Sisteron Cathedral, and the Musée Terre et Temps — museum about earth and the measurement of time. Chongqing is a major city in southwest China with an urban population of nearly 8.2 million. 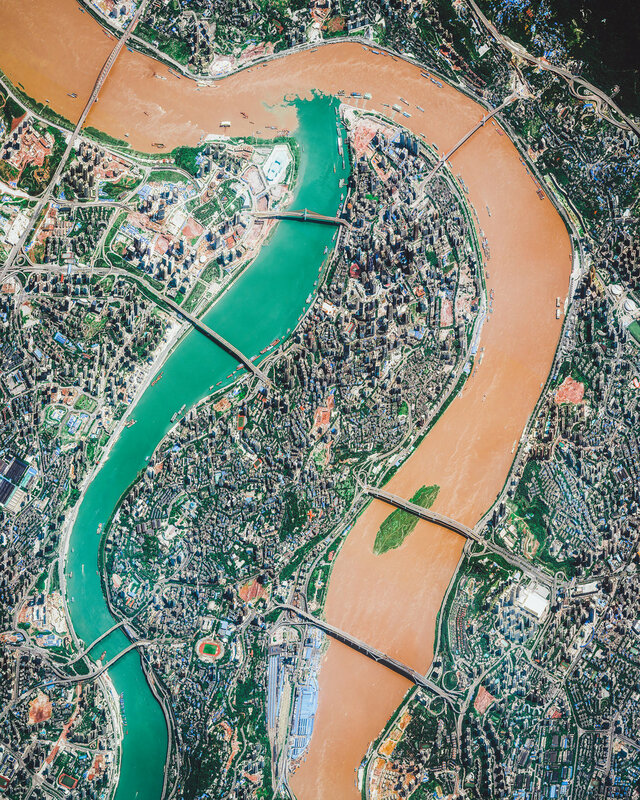 Located along the Jialing (left) and Yangtze (right) Rivers, it serves as one of the most important inland ports in China. Numerous luxury cruise ships terminate at Chongqing, and coal, raw materials and containerized goods also pass through the city aboard cargo ships. 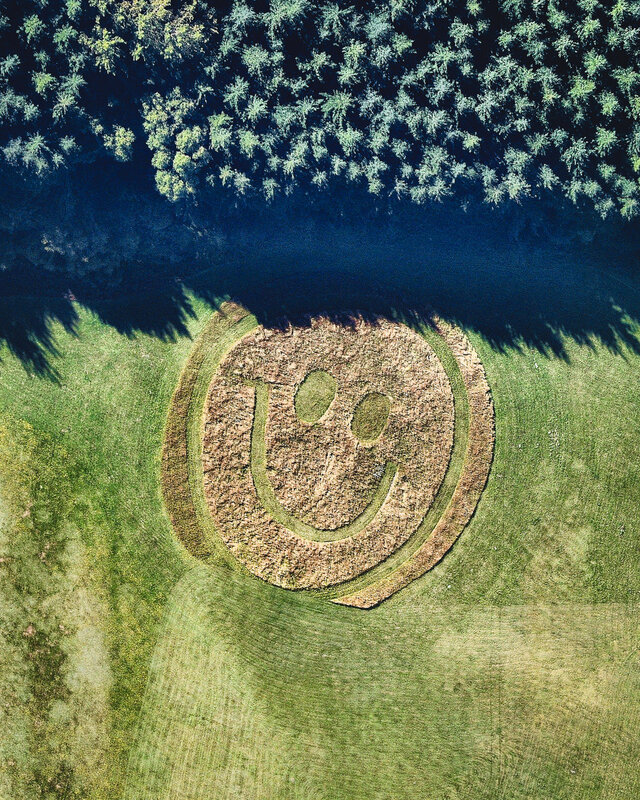 A grass-formed smiley face greets gliders on the grounds of the Infinity Paragliding School in Queenstown, New Zealand. Located on the South Island among several mountain ranges, Queenstown is known for its adventure tourism. In fact, it boasted 220 adventure tourism activities in 2012, including skiing, snowboarding, jet boating, whitewater rafting, bungy jumping and — of course — paragliding, among others. Check out this amazing Overview of London at night. As the capital and most populous city in Great Britain, London is also one of the leading tourist destinations in the world. In 2015, it was ranked as the most visited city in the world, with more than 65 million visits. We’re excited to announce that one week from Thursday, on November 15th, we’ll be hosting the opening for our first ever exhibition in London at theprintspace in Shoreditch. The event is open to the public and the exhibition will continue through November 26th, so just click here for more info: https://bit.ly/2PzyIiJ. Hope to see some of you there! 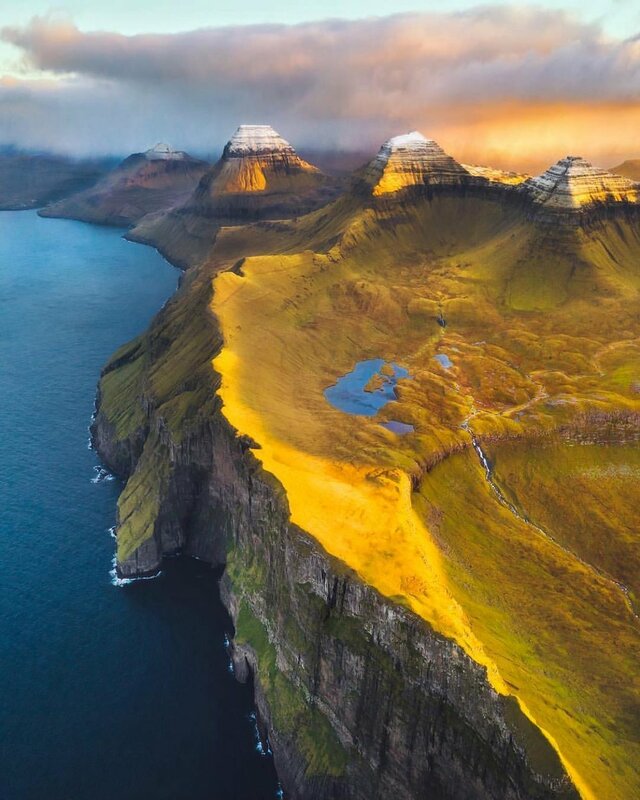 Check out this amazing shot we found on Drone Of The Day, which captures Cape Enniberg, the northernmost point of the Faroe Islands. At 2,474 feet (754 m) high, Cape Enniberg is one of the highest promontories in the world. Throughout the summer, boat tours stop at Cape Enniberg to give tourists an up-close view of the massive cliff and the famous bird colony found there. Venice, Italy, is situated upon 118 small islands that are separated by canals and linked by bridges. After a series of heavy storms, much of the city has been flooded this week as high tide rose to more than 61 inches (156 cm) above average sea level. At least 11 people have been killed due to storms across the country, and flood waters in many of Venice's streets reached knee height at the beginning of the week. With tide waters expected to rise to perilous levels in the coming decades, the city has constructed 78 giant steel gates across the three inlets through which water from the Adriatic could surge into Venice’s lagoon. Happy Halloween! Don't worry — even though they look real, these giant spiders are just 3-D paintings on the roof of the Seattle Center Armory in Seattle, Washington. Muralist Marlin Peterson painted these two Opiliones, or "Harvestmen" arachnids in August 2012 through a grant from the Washington State Artist Trust. Situated just under the iconic Space Needle observation tower, the mural is viewed from above by nearly 1.3 million visitors per year. 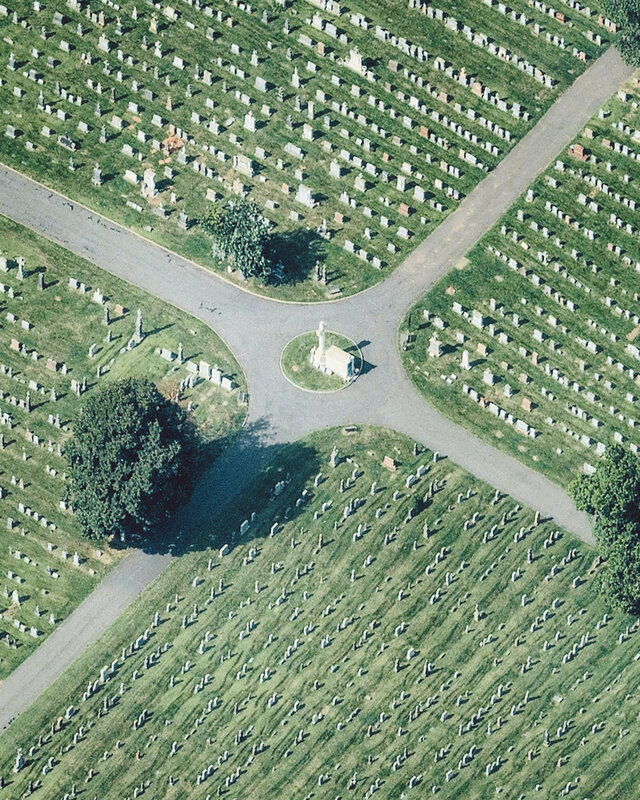 Mount Calvary Cemetery is a cemetery in Linden, New Jersey, belonging to the St. Adalbert Roman Catholic Church. Saint Adalbert (Wojciech) is the patron saint of Poland and thus an important figure for many living in the city of Linden. More than 13% of residents there are of Polish origin and 15.6% of residents primarily speak Polish at home.